It’s been a while since I did a post about how owners of tiny houses deal with building codes, but coding questions come up often. There’s more regulation on tiny houses and dwellings than you may think. In fact, understanding building codes, zoning, and regulation is one of the areas that really trip up new tiny homeowners when they first start out. So today I wanted to go over several of the questions and myths that arise with tiny house code compliance. It seems there are a lot of tiny house building code misconceptions out there. Knowing how to navigate through the tiny house regulations and codes will help you avoid headaches later. So here are the top 5 myths about building codes, zoning, and tiny houses. I don’t need a building permit if my tiny house is under ___ sq/ft. This myth is true, but with caveats. Typically, if you’re building a structure under a certain square footage you don’t need to acquire a building permit. So do you need a permit to build a tiny house if it falls under that square footage? 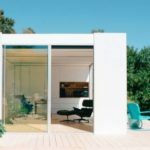 There’s a catch: the exception to the building permit rule is in the term “house.” When you want to dwell or live in the home it shifts from a tiny structure to a tiny house, and you run into building permit issues. The second you place any personal property in your structure, your small house is classified as “dwelling.” Building regulations dictate it doesn’t matter if a dwelling is 10,000 square feet or 10 square feet, you need a permit to build a livable space. Tiny house laws by state vary, as do tiny house size requirements and limits…BUT if you plan to live in your house, you’re going to need a building permit. My tiny home is an RV, mobile home or camper—No tiny dwelling code compliance is required! Again, this tiny house myth is somewhat true… IF your tiny home is being built by a certified RV or mobile home manufacturer. It’s possible to live in a homemade trailer house, but to get around the building code compliance, you’ll need to become a certified manufacturer. 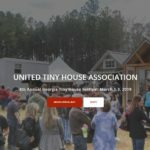 To become a certified tiny home manufacturer, the certification will cost you several thousand dollars, require you get an LLC and go through a rigorous inspection process to ensure you meet all 500+ requirements. So you can’t build a tiny homemade trailer house on wheels and say, “Look—I built an RV or mobile home.” To top it off once your dwelling has passed inspection to classify as a certified RV or mobile home, you can often only park and reside in specifically zoned areas, which are fast disappearing. There is an exception: if your state has a “home-built RV” classification, but these are few and far between and more and more campgrounds and trailer parks refuse entry for home-built RVs. As you see, the answer is more complex than simply saying RVs and mobile homes “don’t count” when it comes to tiny home building codes. I will say I’m “camping” if any issues come up. This tiny house coding myth is once again, somewhat true. You could, in theory, get around any regulatory issues by saying you were camping (which is allowed in dwellings regardless of coding compliance—like lean-tos, tents and pop up shelters). Where the camping excuse runs into problems, is when you realize most municipalities have very specific limits on how long you can camp. The limit is often between 2-30 days in one spot or parcel of land, if camping is allowed at all. Typically, it’s limited to designated campsites. For example, in the city I live in, you aren’t legally allowed to camp at all unless FEMA has declared a state of emergency. In certain cases, you may get around the camp restriction if you move your tiny home every few days, depending on the camping laws. Then again, the city could also say, “You’re not camping, you’re dwelling in your tiny house,” and you’d face a big problem. In certain cities and states, you’re partially right. The question isn’t if they can or can’t stop you (they can). Your city inspectors won’t stop you unless your tiny house becomes a big public issue. If you don’t create too much buzz, or cause any complaints, they may turn a blind eye even if you don’t comply with building codes. It’s important to note here that a city inspector holds all the power, if they decide they don’t want you in your tiny house, they can choose an array of legal justifications to enforce it. The saying is you can’t fight town hall, because they’re the final say on all things. But not complying is certainly a risk. The truth of the matter is, in most places they can stop you. The city inspectors will come through and condemn your tiny house. What condemnation means, is if you enter your house, you could legally get arrested for being in your own home! The city regulators may also fine you for not complying with building codes. They may deny you utilities like they did to me (read about it here). In the worst cases, they may even run a bulldozer through your house to destroy it and tear it down. All of these actions they can legally do and have done. Worst of all you have no recourse for these actions, especially if your tiny house isn’t up to code. If you decide to risk it, it’s still important to learn and understand coding and zoning laws for your specific area. Then, if someone does complain or issues arise, you’ll be familiar with your rights. My tiny house is on wheels, so codes and zoning regulations don’t apply. The idea that wheels mean your tiny house is exempt from codes and zoning regulations is a big myth perpetrated by those who want to earn a quick buck off selling pre-made homes and plans to tiny house people. It’s true, wheels will help your tiny house comply with loopholes and certain regulations, generally because it confuses the bureaucrats. There’s little official regulation out there specific to tiny home zoning. Plus, wheels mean your tiny home is easier to move, so there’s always the possibility of working around the regulations. But the hard truth is, the second you dwell in a structure it becomes a home, and when it comes to homes, all bets are off and the city will do what they want. So what’s a tiny homeowner (or potential owner) to do?!? It’s frustrating when you realize there are few ways (if any) to legally live in a tiny home. Even if your tiny home passes inspection, chances are high it’s technically still not legal in the full language of the law. So, what’s your best approach to live in a tiny house? Well, there are two approaches: 1) Beat the city at their own game and know how to leverage the codes, 2) Roll the dice and try to fly under the radar. Each of these approaches to living the tiny life, have their pros and cons. To get a better understanding of all aspects of building codes and tiny homes, I’ve created an eBook. This book will help you understand how to work within the system to gain legal status with your tiny house as much as possible. In the book, Cracking the Code: A Guide to Building Codes and Zoning for Tiny Houses, I’ll show you the key barriers faced by tiny house folks. I’ll offer possible solutions to overcome these common tiny house coding conundrums and issues. In the book, I’ll also share with you a few strategies to help you beat the system. I’ll explain what you need to do if you choose to fly under the radar and how to live in your tiny house safely, without getting caught. Whichever approach you choose to deal with the tiny house building code issues and regulations, both are covered in Cracking the Code: A Guide to Building Codes and Zoning for Tiny Houses. If you’re wondering how to understand codes and enjoy life in your tiny home hassle-free, you need this book! Check out the entire article HERE and see the other great content Ryan puts out!